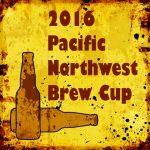 Calling all beer lovers for the 15th annual Pacific Northwest Brew Cup in Astoria, Oregon’s Historic District on the last weekend in September. Named “Best Beer Festival” by The Oregonian, it features many northwest breweries, plus live music as eclectic as the brews, and food to clear your palette while you sample. Admission to the Festival is free, but to taste beer you need to buy a souvenir mug and tokens for sampling. You’ll find over forty beers and ciders from across the Pacific Northwest at the Brew Cup this year. Oregon brewers include Astoria Brewing Company, Buoy Beer Company, Fort George Brewery and Public House, FOTM Brewing, Pfriem Family Brewers, Two Towns Ciderhouse, and Seaside Brewing. Washington brewers include North Jetty Brewing, and the 2015 winners of both “Thar She Blows” and People’s Choice honors. Last year, Prodigal Son Brewing’s Huckleberry Wheat was the People’s Choice, and Walking Man Brewing’s Black Cherry Stout was the first keg to go. Don’t miss seeing which keg is the first to blow in the 2016 “Thar She Blows” contest, and voting for your favorite brew in the People’s Choice Award. You may do some serious tasting to decide your vote, so you’ll want to stay within walking distance of the festival (located just east of the Columbia River Maritime Museum). There’s no better choice than Clementine’s Bed and Breakfast on Exchange Street. You’ll be less than a 15 minute walk from the festival, so book your weekend now, and get ready to lift your mug at the Pacific NW Brew Cup – a beer connoisseur’s (beeroisseur’s) delight. Guests wishing to purchase a mug and sample beers must have their ID checked to verify they are of legal drinking age. This entry was posted on Thursday, September 8th, 2016 at 11:05 am and is filed under Clementine's Bed & Breakfast News, Events, Festivals. You can follow any responses to this entry through the RSS 2.0 feed. Both comments and pings are currently closed.